Oklahoma State is prepping for a big recruiting weekend as they’ll play host to dozens of recruits at the spring game. In the meantime, the coaching staff played host to a rising running back prospect and extended an offer to a 2022 corner this past week. Oklahoma State played host to fast-rising Texas running back Darius Hale last weekend. Hale already has offers from Baylor and Houston, with other teams, including OSU and Texas, interested. While the Cowboys have yet to offer, I think it’s more a matter of the staff emphasizing their focus on two other 2021 running back offers — five-star Camar Weaton and four-star Donovan Edwards — at this time. I do expect an offer from OSU to be extended Hale’s way at some point. Hale is coming off a sophomore season for Dobie High in Houston, Texas where he racked up 1,353 yards and 16 touchdowns in route to being named the District 22-6A Newcomer of the Year. 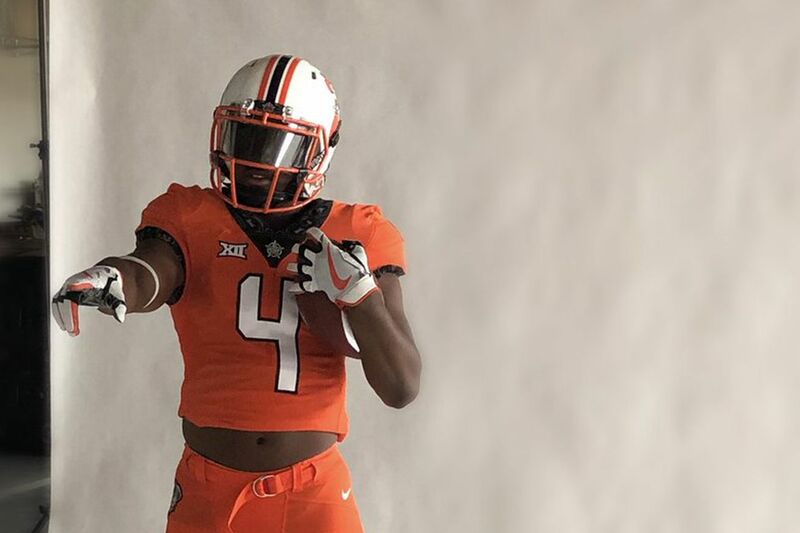 Oklahoma State is now the second program to offer 2022 prospect Toriano Pride Jr.
OSU joins Iowa State in pursuit of the 5-9, 160-pound CB from Saint Louis, MO. As a freshman, Pride saw a decent amount of playing time, helping Lutheran North High win the class 5 state title. It’s obvious OSU really likes the kid as he’s just their sixth offer for the class of 2022, and the first at the cornerback position. There’s not a lot on Pride as he just wrapped up his freshman season. What I could find pointed to him being a prospect to watch after a nice first year of high school ball. His highlight reel is definitely worth checking out.